Kraft Heinz isn’t feeling the love from Canada these days — especially when it comes to its U.S.-made ketchup which now faces Canadian tariffs. As a result, the U.S. food company is trying to change its image north of the border. 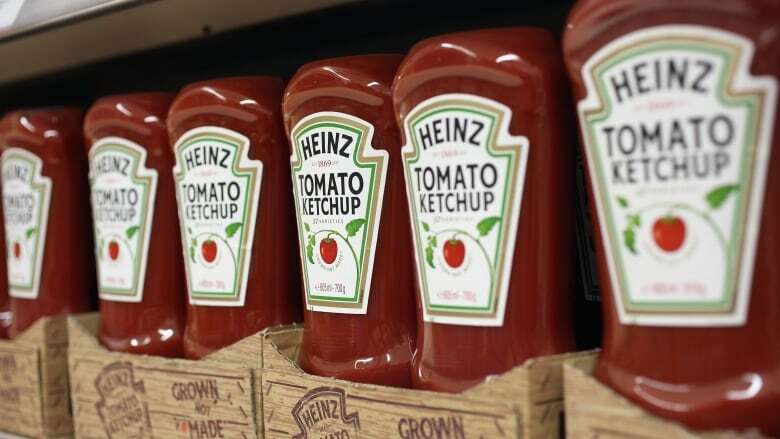 Faced with a 10 per cent tariff on its ketchup and other goods, American food company, Kraft Heinz is opening a new front in Canada's ketchup wars. Heinz took a public relations beating after moving its ketchup production to the U.S. in 2014, enabling Canadian-made French's ketchup to steal the spotlight. Now the company, which merged with Kraft in 2015, has begun its own PR campaign to highlight its Canadian connections, including the products it still makes in this country. "We are a good corporate citizen, and truly part of the Canadian fabric," said Av Maharaj, vice president of corporate affairs for Kraft Heinz Canada, shortly before the tariffs took effect on July 1. "The tariffs are just making things worse for them and that's why they're reacting," says food industry expert Sylvain Charlebois. 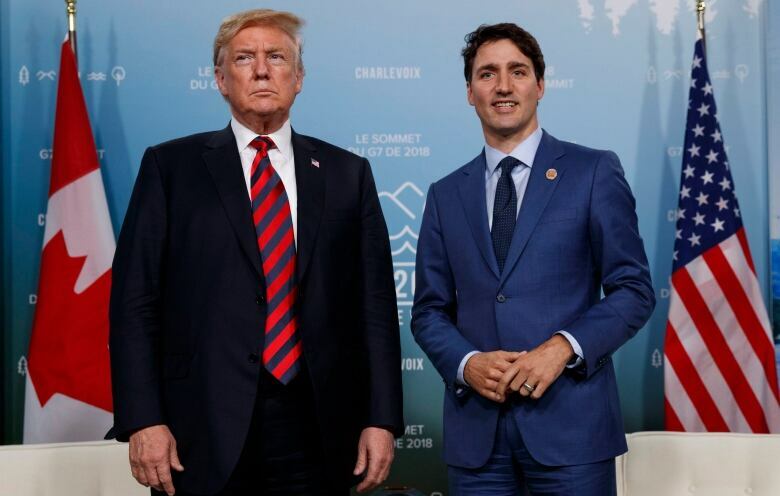 However, he believes Kraft Heinz will garner little sympathy as Canada gets embroiled in a trade war with its neighbour. "It's all about politics — politics are trumping economics," said Charlebois, a professor in food distribution and policy at Dalhousie University in Halifax. In response to the U.S. imposing tariffs on Canadian steel and aluminum, Ottawa has levied a 10 per cent tariff on many U.S. consumer imports — including ketchup and other products such as coffee and sauces that Kraft Heinz makes south of the border. "We don't think the tariffs imposed by Mr. Trump were particularly fair to Canada, and neither do we think that the reciprocal tariffs that were imposed are equally fair," said Maharaj. To add insult to injury, on Canada Day, Justin Trudeau is scheduled to visit a production plant in Leamington, Ont., that Heinz vacated in 2014. At the time, it laid off 740 workers and threatened the market for local tomato growers by moving its ketchup operations to the U.S.
U.S.-based brand French's benefited, sourcing Leamington-grown tomatoes and eventually setting up production at a Toronto plant to make homegrown ketchup. The move won the hearts of many Canadians while Heinz was seen as the bad guy who skipped town. French's ketchup is good. We switch to it a couple years ago when they took over the tomatoes and factory (when Heinz left Canada). For mustard I'm switching to Dijon... Can anyone recommend a Canadian 🇨🇦dish soap? Buy French’s ketchup! When Heinz pulled out of Leamington, ON, French’s stepped in &amp; saved jobs. Kraft Heinz is now trying to change that image of abandoning the region. "There's some miscommunication out in the media that we left Leamington. We never really did," said Maharaj. He says after Heinz sold the plant to Highbury Canco, it negotiated deals with the company to produce many of its products for the Canadian market, including canned beans and tomato juice. "We have been a great partner with them." Food industry expert, Charlebois says it's a little late in the game for Kraft Heinz to try to put a positive spin on selling the Leamington plant. He suspects the company is speaking out now because it has reached a breaking point. "It feels like an 'enough is enough' kind of campaign." He has been tracking Kraft Heinz's PR battle in Canada, and says the company contacted him this week for advice on how to control its image. "If you're doing that, you've got be concerned." Heinz has good reason for concern — after rival French's ketchup stole the spotlight for sourcing Leamington tomatoes, the lesser-known brand has seen a big boost in sales. According to market research company, Euromonitor International, from 2016 to 2017, French's Canadian ketchup sales more than doubled to $11.1 million while Heinz's fell by five per cent to $126.4 million. Canadian tariffs targeting U.S.-made goods will also affect the bottom line for Kraft Heinz. "It's going to be millions and millions of dollars in tariffs, and so that's a difficult thing for any organization to absorb," said Maharaj. Regardless, chances are it won't be enough to convince the Canadian government to remove items such as ketchup from its hit list. Kraft Heinz's messaging may also fail to resonate with Canadians now boycotting U.S.-made products as part of a brewing buy-Canadian campaign to protest U.S.-imposed tariffs. 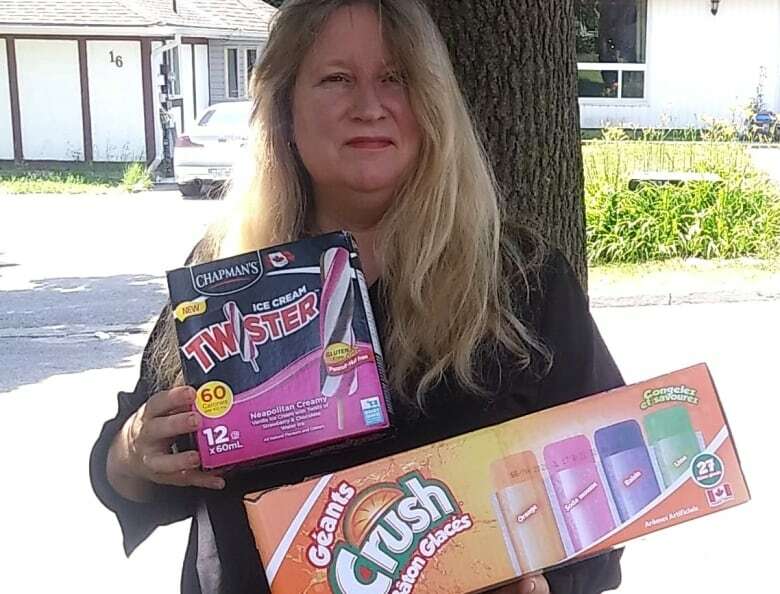 Beth Mouratidis refuses to buy Heinz ketchup, among other U.S. goods, but the Barrie, Ont., resident says it's nothing personal against the company. Instead, she says she's taking a stand to send a message to the U.S. to drop tariffs on Canadian products. "If enough people jump on the bandwagon, American businesses will suffer somewhat," she said. "That's the only way they will put pressure on their government to say, 'Hey, we're hurting, you need to stop this.'" 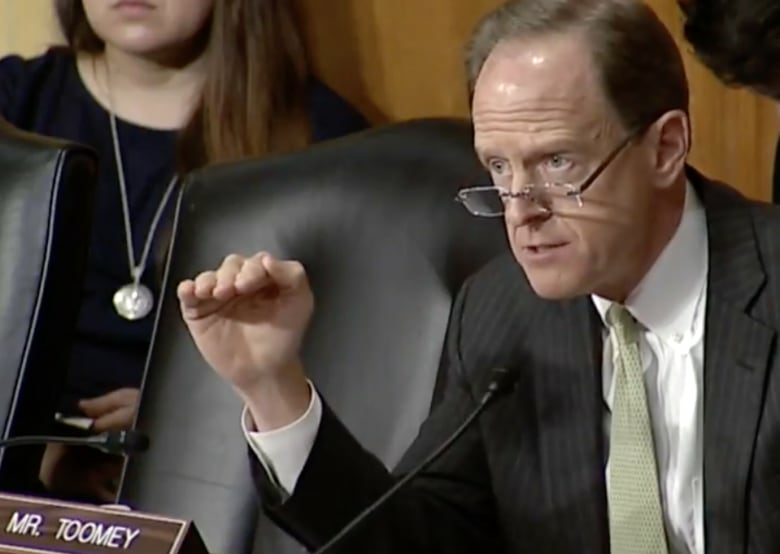 Last week at a Senate hearing, Republican Sen. Patrick Toomey of Pennsylvania, where Kraft Heinz is partly based, expressed concern over how the ketchup tariffs will hurt the company. He also offered a suggestion how it could fix its woes. "The solution for them to be able to continue to sell their product in Canada would be to shut down their U.S. factory and move to Canada," he said.